Kriya has been taught in an unbroken link of spiritual succession to this day. Paramhansa Yogananda personally authorized his disciple, Swami Kriyananda (founder of Ananda) to initiate qualified people into Kriya. Kriya Yoga is so effective because it works directly with the source of growth — the spiritual energy deep in our spines. 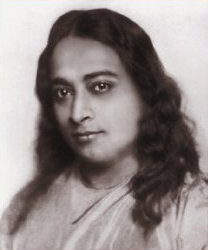 Paramhansa Yogananda taught Kriya Yoga as a spiritual path that includes three other techniques, along with discipleship to the Kriya line of Masters. The Kriya technique is not a “magic bullet” that will give one instant spiritual progress. It is effective only to the extent that the Kriya yogi practices it with awareness, sensitivity, and an open heart. Ananda teaches the four techniques that encompass the Path of Kriya, just as Yogananda taught them: the Energization Exercises; the Hong-Sau Technique of Concentration; the Aum Technique of Meditation; and the Kriya technique. After establishing the first three techniques as part of a daily meditation practice, one can receive the Kriya technique. This process takes about a year, or more, depending on the student.